Considering all the green glitz and gold glamor of Mardi Gras, it's strange that I haven't ever dressed up to celebrate the carnival season. Sure, I've went dancing at bars and been hit in the head by a rainbow of Mardi Gras beads from the band, but half-heartedly wearing those free necklaces doesn't count. This year I'll at least take advantage of the excuse to wear even more purple glitter to work on Fat Tuesday. And perhaps next year I'll be prepared to party in true New Orleans fashion! The handmade shops on Etsy offer quite a parade of shiny options. 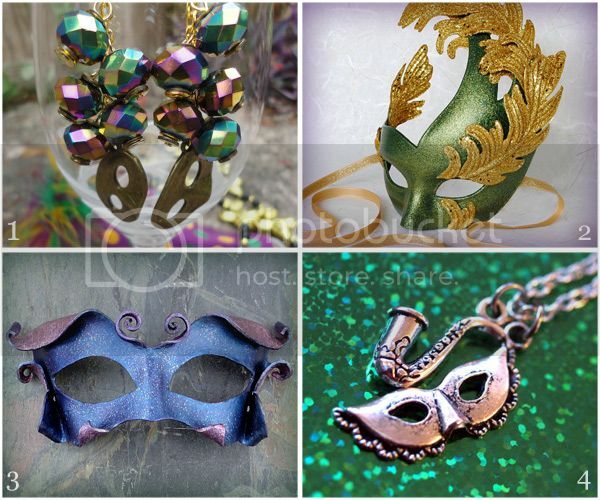 I had a ball browsing through masquerade costume accessories and miniature mask jewelry. 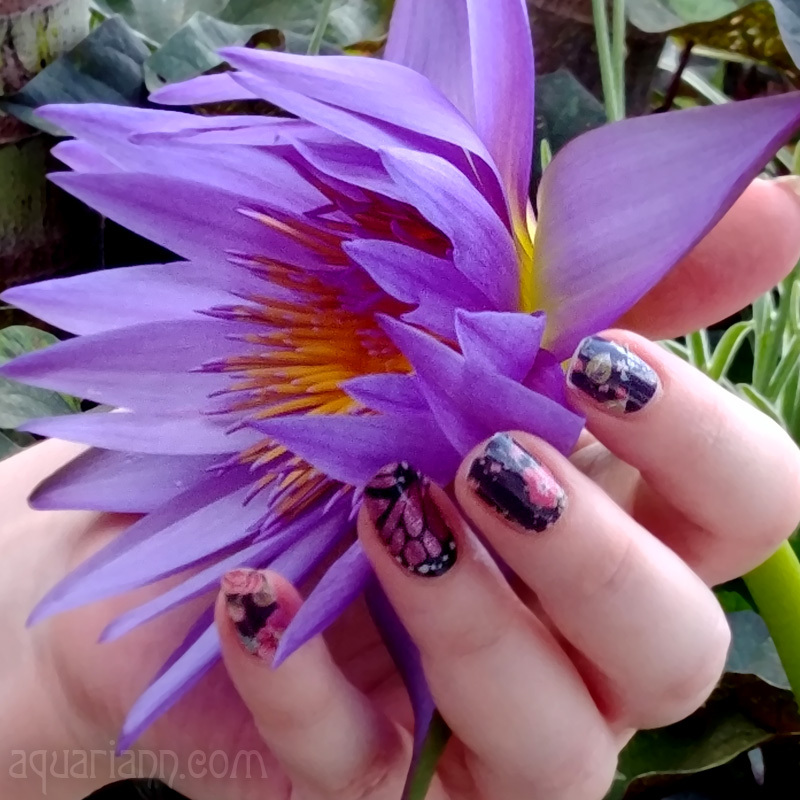 Disclaimer: This post was inspired by Beadmask and Life is the Bubbles, talented blog sponsors that pay for advertising space and featured listings like above. If you think your items would fit in with my whimsical ramblings, please consider supporting my blog and becoming an advertiser. LOVE that blue & lavender leather mask by beadmask!!! I adore miniature masks! Always wanted to make one myself... well... maybe I will... Thank you for the inspiration! I have a butterfly mask made from porcelain that I keep in my studio. Cute charms!